In 1928 Berlin, the world is between wars and the stock market is booming. 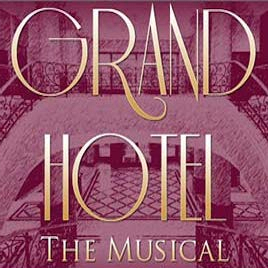 The center of the action is the illustrious Grand Hotel. The show concerns the eccentric guests of the hotel including a beautiful Prima Ballerina; the charming but broke young Baron; the determined Hollywood hopeful; the deathly ill bookkeeper; the honest, hardworking father-to-be; and the cynical doctor.